A City of Clayton business license is not transferable except as to location. Are there benefit assessment districts in Clayton? Yes, there are several benefit assessment districts located within the City of Clayton, levied on and benefiting residents in the specific boundaries of each specific benefit assessment district. Not every Clayton resident pays a benefit assessment on their property tax bill, as inclusion is dependent on the location of resident’s property parcel. Click the City Engineer page for a list of the City’s various benefit assessment districts. Can business license taxes be prorated? Yes. Only the annual tax (July 1st to June 30th) may be prorated and shall be prorated as follows: (1) If the business started between July 1st and September 30th, 100% of the license tax is due, (2) If the business started between October 1st and February 28th, 75% of the license tax is due, and (3) If the business started between March 1st and June 30th, 50% of the license tax is due. Can I get a refund on my business license tax? No. Business license taxes are non-refundable. Can I reserve a table at The Grove Park during a concert? Can I reserve tables or a ballfield at the Clayton Community Park? Yes. We have a nice selection of picnic tables at the Clayton Community Park with beautiful views located at the base of Mt. Diablo. You can check the online rental calendar to see if there are still open times available for your event. Do charitable organizations require a business license? Charitable and non-profit organizations are exempt from the payment of the business license tax. Do I need a business license if I have a home-based business? Yes, a business license is required to operate a business from home. If you plan on operating your business from home in Clayton, you must complete and submit a Home Occupation Permit Application. This application must be reviewed and approved by the Community Development Department at the Clayton Permit Center prior to submitting a business license application. Once you receive approval on the Home Occupation Permit, you may then proceed to apply and pay for a business license application. Do I need a business license if my business is not based in the City of Clayton? Yes. If you conduct business in the City of Clayton from an office located outside of the City, you are required to obtain a business license if the business activity is conducted in and sales are generated within city limits unless specifically exempt in the Clayton Municipal Code or other prevailing state or federal law. Do I need insurance to rent a City facility? Yes. Renters are required to provide proof of special event insurance covering bodily injury and property damage for Endeavor Hall and Hoyer Hall. Endeavor Hall has a $2 million minimum per occurrence requirement and Hoyer Hall has a $1 million minimum per occurrence requirement. Renters may obtain their own insurance, or obtain the special event insurance through the City’s third-party contracted agency. Additionally, if alcohol is being served or otherwise consumed at the event, the insurance policy shall provide host liquor liability with the same limits specified previously. The insurance policy shall name the City of Clayton, its officers, employees and volunteers within an additional insured policy endorsement page. Yes, business license renewal payments are due by July 1st each year. However, contractor business licenses are business specific and expire one year or six months from the date of issuance depending on term of the original license issued (i.e. six months or one year). Does the City have a balanced budget? The City has an annually balanced budget as required by law. How do I claim a business license exemption? To receive an exemption from the business license tax requirement you must file a sworn statement with the City stating the facts upon which the exemption is claimed. Upon a proper showing contained in the sworn statement, the City will issue a business license to the person(s) claiming exemption without payment to the City of the license tax otherwise due. The exemption from payment of license tax granted by this chapter does not exempt the person(s) conducting the business from complying with the permit requirements. Security deposit refunds will be returned to you within 30 days following the event as long as there has been no damage to floors, walls, equipment, furnishings, or landscaping and extra cleaning is not required. How many people does Endeavor Hall hold? The indoor hall floor area has a capacity of 87 people for seated dining and up to 187 for assembly. The outdoor courtyard has capacity for an additional 50 people for seated dining. How many people does Hoyer Hall hold? The maximum capacity for Hoyer Hall is 174 people. The meeting room includes stacking chairs (110) and rectangular tables (10) available for use within the meeting room. How much does it cost to rent a City facility? 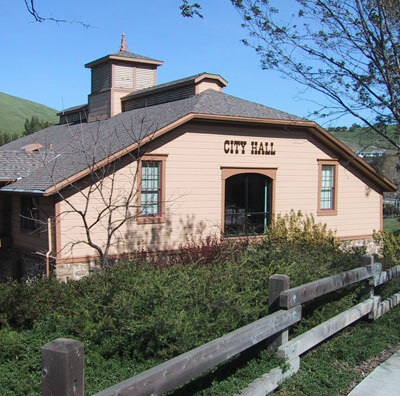 The facility rental rates are reviewed and approved by the City Council annually and published in the City’s Master Fee Schedule published on the City’s website. Rates vary depending on the type of renter (i.e. resident, non-resident, non-profit) and the date of the rental (i.e. weekend or weekday). How often does the City pay bills/cut checks? The City pays bills after every City Council Meeting with the Council’s approval. The Council meets every 1st and 3rd Tuesday of the month unless cancelled by the City Council in advance at a public meeting. Refer to the upcoming City Council Agenda for a list of obligations being submitted to the City Council for approval. Is there a refrigerator/kitchen at Endeavor Hall to use during an event? Yes. Endeavor Hall has various kitchen appliances, including: a commercial catering stove, oven, refrigerator, small freezer, commercial dishwasher, and sinks. What are the penalties for not paying my business license tax on time? Any delinquent amount due to the City bears interest at 10% simple interest per annum from the original due date. Both the business license tax and penalty is a debt to the City, and the City may bring an action to collect the debt. However, in no event may the amount of the delinquent charge exceed one hundred percent (100%) of the amount of the license tax. What facilities does the City of Clayton have for rent? What is the “CASp” fee on my business license receipt? The City is required to collect this fee in accordance with California Assembly Bill 1379 (AB 1379). The purpose of the fee is to increase disability access and compliance with construction-related accessibility requirements. Additionally, the fee assists local jurisdictions in supporting the Certified Access Specialist (CASp) program and provides the California Division of the State Architect (DSA) with funds to maintain oversight of the CASp program. 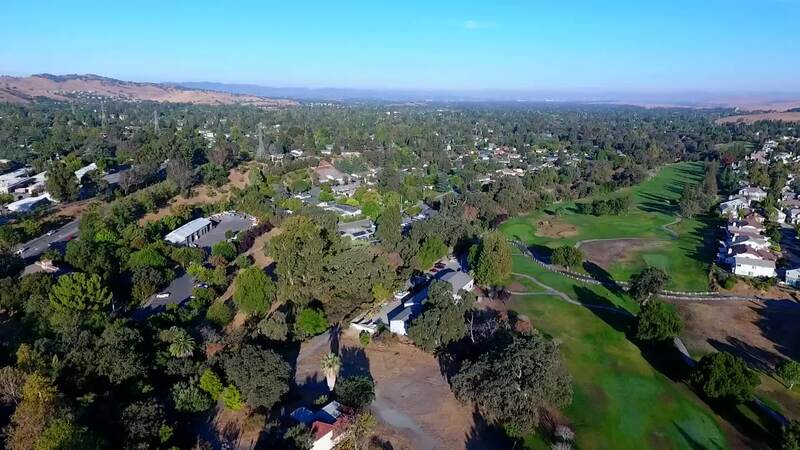 In accordance with the law the City remits 90% of all CASp fees collected to the Contra Costa County Department of Conservation for program compliance as the City contracts with the County for building inspection services. The remaining 10% of CASp fees collected are remitted to the DSA on a quarterly basis. What is the “Landscape Maintenance” tax on my property tax bill? What is the City’s largest revenue source? The City’s local share of secured property taxes and secured property taxes in-lieu of vehicle license fees from the state, together accounting for over 40% of total budgeted revenues of the City. What is the sales tax rate in the City of Clayton? The sales tax rate in the City of Clayton is currently 8.25%. However, the basic local Bradley-Burns rate allocated to the City of Clayton is only 1.0%. The remaining 7.25% is shared between the State of California, Contra Costa County and for locally-approved ballot measures for Bay Area Rapid Transit (BART) and Contra Costa Transportation Authority (CCTA). Refer to the City Finances Overview page for a more information on City operational revenue sources. When does a business license become delinquent? A business license tax becomes delinquent if not paid within thirty (30) days of the due date. For example, any unpaid balance of a business license tax due on July 1st becomes delinquent after July 31st.